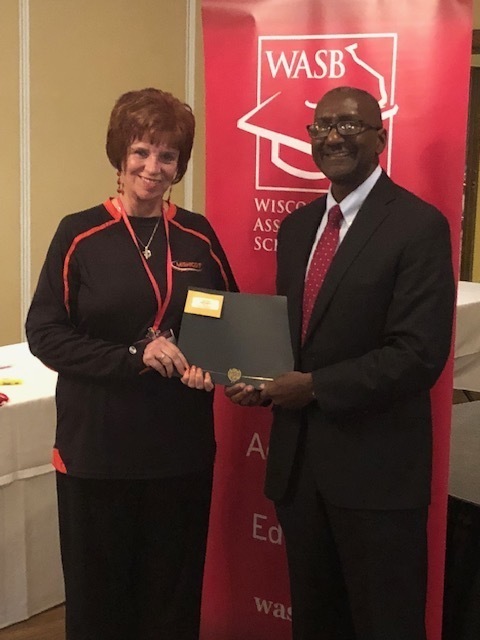 Mrs. Judy Ferry, Mishicot School Board member and Mr. David Skwor, President of the Mishicot School Board were recognized by the Wisconsin Association of School Boards on the evening of October 19th for their time and commitment to the School District of Mishicot. 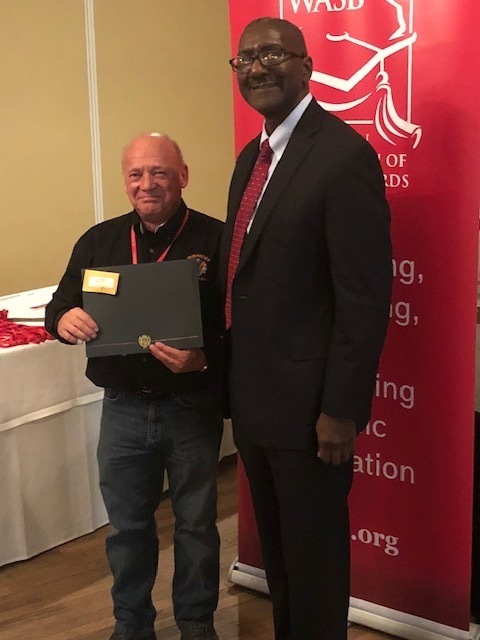 They are picture receiving their awards from Mr. John Ashley, Executive Director of the Wisconsin Association of School Boards. Also recognized was Ms. Carol Lambert, School Board Member for her many years of service to the board. With this month honoring school board members, we would like to thank all members of our board of education for their dedication, time and hard work to better the educational experiences of all of our students.